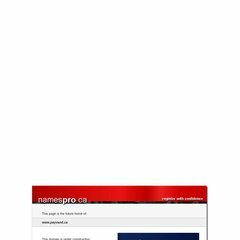 It has 3 DNS records, ns1.namespro.ca, ns2.namespro.ca, & ns0.namespro.ca. It is hosted by Theplanet.com Internet Services Inc (Texas, Dallas,) using Microsoft-IIS/6 web server. The programming language environment is ASP.NET. PING (70.85.232.2) 56(84) bytes of data. A time of 29.9 ms, is recorded in a ping test.